Join Blacknight in sending a strong message to government about mass surveillance. On February 11, 2014, when visitors arrive at the Blacknight.com site, they will be greeted with a banner informing them that “Today We Fight Back”. The Banner will read “Dear Internet we are sick of complaining about the NSA. We want new laws that curtail online surveillance”. It will also provide the option to sign the petition in support of The Principles Against Mass Surveillance by entering their name, email address and nationality. Blacknight will be joining thousands of online companies across the globe in standing up against warrantless, rampant online surveillance. Among the companies and websites participating are Reddit, The Electronic Frontier Foundation, Mozilla, Amnesty International and Boing Boing. The banner will change based on the nationality of the visitor to reflect the privacy issues of the visitors country. 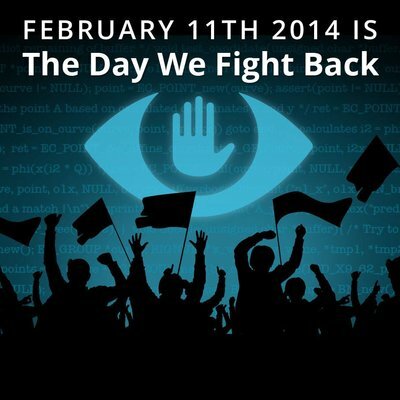 Blacknight encourages everyone who is able to visit their homepage http://www.blacknight.com or blog http://blog.blacknight.com on February 11, 2014 and sign the petition in support of The Principles Against Mass Surveillance.